Hi, Stars on Ice, can we talk for a second? Good. As your name implies, you are a touring cast for a sport that can only be described as the “supergayest sport ever.” What did Johnny Weir possibly do that made him anything less than “family-friendly”? * Because let me tell you something, Stars on Ice: Any family that watches figure skating together who doesn’t realize how gay the sport is** is in major league denial, akin to the Clay-mates in the year before Gay-ken came out of a closet door that had been off its hinges since he went on American Idol. I mean, come on, guys — it would be awful and offensive if this was the NFL, but at least that’s a grotesquely hetero-centric environment. But, for the record, how many times did you take this on tour with you? 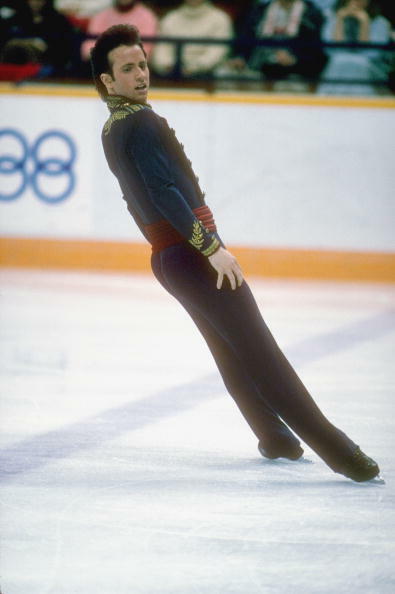 I mean, I’m not suggesting 100% that Brian Boitano is gay, because I don’t think he’s made an official statement on the subject, but, well, you know what I mean. You know what would be family friendly? A bunch of pissed of queers and Weir fans buying tickets to Stars on Ice and tossing bags of rock salt and dog sh*t onto the ice from their seats before the show. *And why are you being all homophobic and making me blog about Johnny Weir when I’ve made it well known that I’m Team Evan? **Hi, my family in 1992!